We’ve now been camping for a month and as you can probably tell from my post-weekend blog posts, we love it! Since I love crochet too, it would only follow that I will crochet camping / campervan / caravan goodies and here is the first one: a caravan keychain. You can whip this caravan keychain up with scraps of yarn in less than a hour. 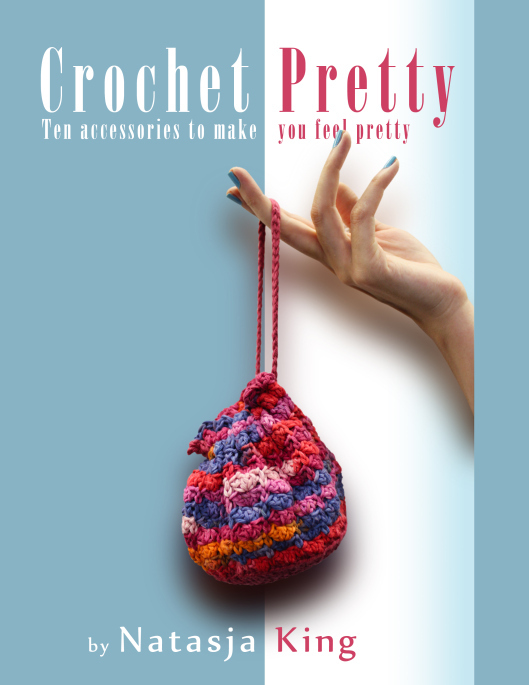 You will need double knit or light worsted cotton yarn in two shades and a 4 mm crochet hook. Also light grey yarn for embroidery and two small black buttons. I wrote the pattern in US crochet terms. 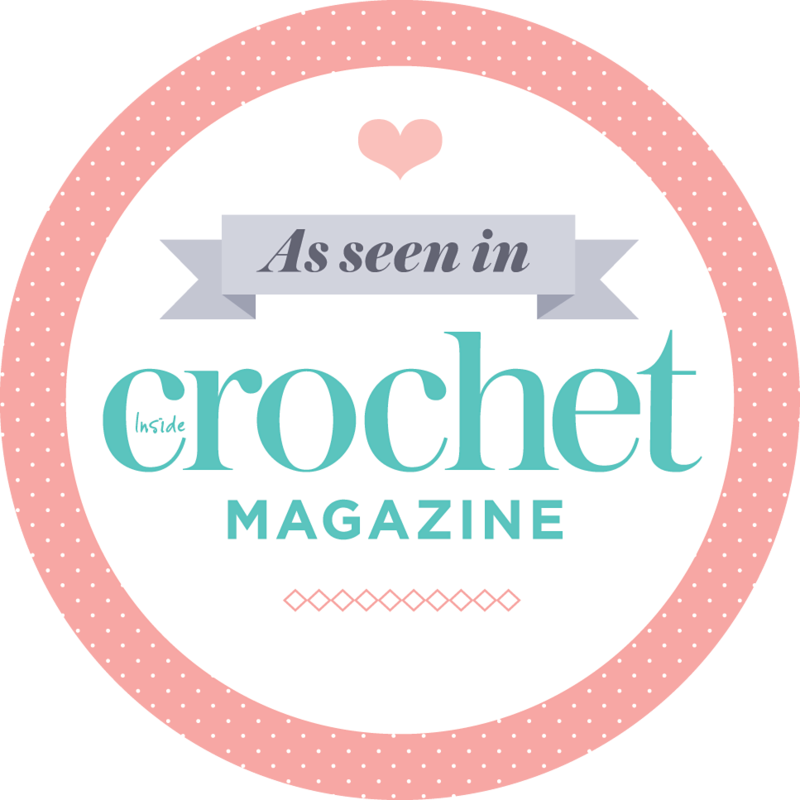 In UK crochet terms, the SC = DC, HDC = HTR, DC = TR, TR = DTR. Row 3: Chain 1, SC in each stitch (12 SC). Row 4 Chain 1, SC in each stitch (12 SC). Change to colour B (white in my example). Row 9: Chain 1, sc2tog, 6 SC, sc2 tog (8 SC). Fasten off. Row 1: With colour A chain 4, SC in the 2nd chain from hook (3 SC). Row 2 – 4: Chain 1, SC in each stitch (3 SC). Change to colour B. Row 5 – 6: Chain 1, SC in each stitch. (3 SC). Fasten off. Use light grey yarn and backstitches to embroider the door onto one of the caravan panels. Use french knot for door handle. Use back stitch to embroider the window. The bottom line of the window should be worked over 4 SC. Work one side diagonally across two rows. The top upper line of the window will then be worked over 3 SC. Space the window and the door one SC apart. Repeat the window design on the the second caravan panel, replacing the door with a second window. With colour B chain 22 and fasten off. Use the tail end to sew the chain onto the wrong side of one of the caravan panels, positioning it at the top left corner. Make sure not to stich through to the right side when sewing on the chain. Sew on a small black button on each caravan panel, positioning the buttonholes in line with the bottom of caravan. Using neat overhand stitches, sew the two sides together with matching yarn. I hope you enjoy making the cute caravan keychain. Please link your keychains to the pattern on Ravelry so that I can see all the happy hooky caravans! I love the TV program “George Clark’s Amazing Spaces.” You’ve captured the comfort of a tiny refuge. Thanks for your design. Thanks a lot for your free pattern. I will link the pattern in a couple weeks on ravelry. It’s for a swap. The theme is ‘drean holiday. She loves to camp so….this was a perfect gift. Adore!!! I’m making one for my dad and his wife for their camper. I think row 2 has an error.. It’s adorable either way!! Thank you! !